Unlike most appliances its harder to be without a working refrigerator not to mention having to throw away all the great food which is costly and in some cases is an actual emergency like when you have medicine or milk for the new baby(True Story). Luckily here at Seattle Refrigerator Repair we understand the urgency and will do our best to repair your fridge as fast as possible, and save your food. In most cases we offer same day, or next day service. *Service call will be waived with repairs. *Most repairs done on the first visit. *Mention the coupon code: “Sounders” to receive a $20 off Service Call. GE makes a wonderful range of refrigerators, and we fix them all. Call us if your fridge is leaking, making noise, won’t cool properly, seems too cold or if the ice maker isn’t functioning. We carry a huge inventory of GE Refrigerato parts, so we’ll likely have what’s needed to the job done on our first visit. When you need Seattle refrigerator repair, time is of the essence to prevent food from spoiling. 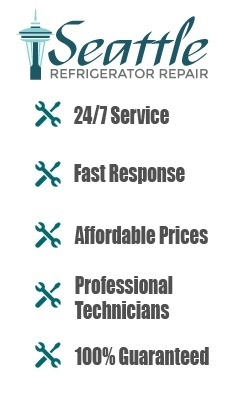 We’ll respond quickly to your call for service. 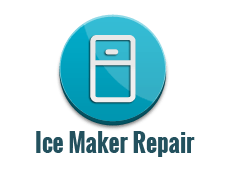 Leaking ice makers, bad thermostats, faulty sensors and worn fans are just a few of the many jobs we handle on a daily basis. Refrigerator Gets too Cold? Don’t Make Ice? If you have owned refrigerator at home for a long time, I am sure that you have dealt with one or two problems with it. Refrigerator and all appliances is not something that can last forever without any damage. There will be times when it gets broken and needs a repair. With refrigerators which store all our food people tend to want to fix it as soon as possible. If it is possible to repair the problems on your own, you can try it first. So, here I would like to share you some ways to do repair your refrigerator or to diagnose the problem on your own. Yes, it is normal for a fridge to be cold. However, there are some cases when it gets too cold. Have you ever experienced it before? If it happens to you, you should make sure to really do refrigerator repair. You know, when the fridge gets too cold, it might be because a large amount of ice has been used recently. Because of that, the fridge might lower the temperature so that it can produce more. The fridge will also lower the freezer’s temperature in other case. That is the case when water can’t pass through the filter and makes the ice production low. So, what refrigerator repair do we have to do about it? 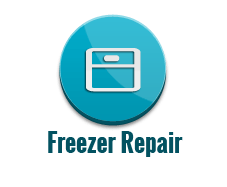 For freezer repair, you can wait for 24 hours to see any change first. In some cases, the temperature will go back to normal after that. If not, you can check the water filter and replace it if it is clogged. You can also turn off the freezer if there is no water supply. You can also adjust the controls and wait long till the right temperature returns. Another problem you might experience while owning and using refrigerator is about it being unable to produce ice. Sure, you will need ice maker repair for it. But, what do you think would be the cause of this problem? Before knowing the refrigerator repair for it, you need to know the cause, indeed. In most cases, this problem is caused by ice cubes that are stuck in the dispenser chute. It might also because you have selected Lock Mode option on the display. Sometimes, it is caused by the filter that is clogged partially too. For this problem, the refrigerator repair that you need would be to melt the ice cubes if there is any stuck in your dispenser chute. Simply using warm water for it will do the job. You should also make sure to not selecting the Lock Mode option. Lastly, you can check the filter. If it is really partially clogged, it means that you need to replace it. By simply doing these things, your fridge should be able to produce ice again. Well, it is not like your fridge problems will be 100% solved by these solutions. Sometimes, even when you have tried them, there are also times that the fridge is still not working well. When that time comes, you should ask for the help of service providers for refrigerator repair. You should find many reliable ones in the city of interest. What it means by the city of interest is Seattle here. So, find them there to fix your problems and get your fridge back to normal. Description: Refrigerator repair should be done as soon as you notice that your fridge is not working correctly. 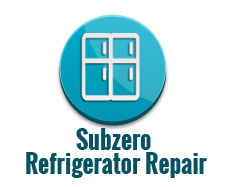 Regardless of the problem, you should not try to fix it yourself and should call a professional Refrigerator repair service. You woke up in the morning and discovered a puddle of water? It’s time to call a refrigerator repair company. Often times a leak even if it happen only once is a sign of refrigerator malfunction which can turn into a bigger problem later on if not being taken care of. Not to mention that the worst thing can happen when the refrigerator break down and leak is in fact not the refrigerator, It is the damage can be caused to the hardwood floors. In big houses the kitchen sometimes will be open and connect to the living room and if you have to replace the hardwood floors in the kitchen you actually have to replace the floors in the living room this kind of job can lead to a 20-30k and more in damages, all from a simple refrigerator leaking. Water leaking can be a sign of a defrost issue. When the cycle kicks back in it defrost all the extra ice that was forming. Defrosting is a good thing but the fact the fridge was building ice means it will most likely happen again. 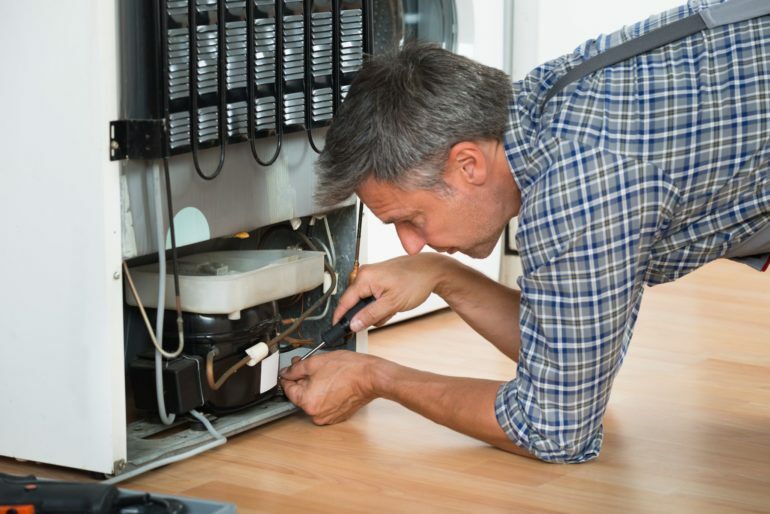 Broken water lines, frozen water lines, hole in the drain pan, clogged water lines, ice maker malfunction, and bad water valve are few of the possibilities when it comes to refrigerators leaking. It is well-known your fridge adjust the temperature automatically. When the temp goes above the line determent you can hear a click and the thermostat will kick in. It turns on and off when needed. In case you hear a loud noise it can very well be the thermostat. Refrigerator thermostats are mechanical so often times before it die or break down it will make a noise. You can check the evaporator fan motor inside the freezer if it’s turning ok or don’t make an unusual sound the next thing you’ll need to check is the thermostat. If you open the fridge and you discover your cheese have frosted ice on it and it happen on a regular basis, it’s crucial to call a refrigerator repair as this is an indication of a problem with the defrost cycle. At one point or another your refrigerator might be covered in ice.